The Worthington Mansion Bed and Breakfast is a newly restored Queen Anne Mansion in the Heart of the downtown Fort Wayne West Central Historic District. 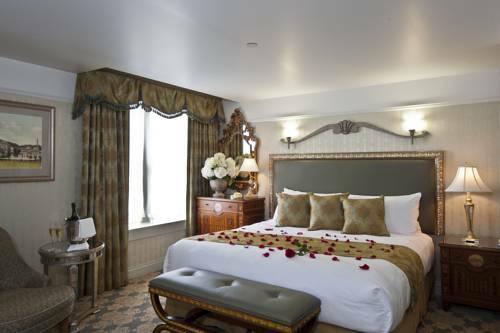 The home has been meticulously restored to bring back the elegant atmosphere of the Queen Anne style mansion, while adding all of the modern luxuries including FREE WiFi, hand made bath amenities, gourmet breakfast, wine and cheese each evening, plush terry bath robes, 600 thread count sheets, down bedding, guest library, and more. 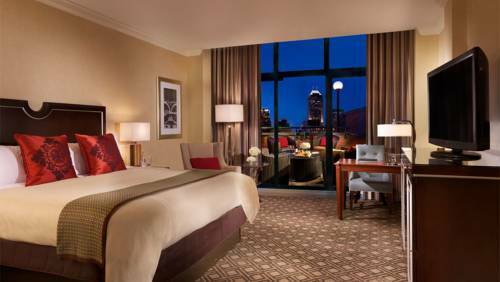 Located in the heart of downtown Indianapolis, the Omni Severin Hotel stands as the city's longest running luxury hotel and a beautifully restored piece of the city's history. The hotel elegantly combines the grandeur of the early 1900s with the modern amenities and superior service of today, and offers memorable experiences that are within walking distance to many leisure, business, and cultural attractions. Each spacious guest room features high speed wireless internet access, deluxe bedding with fluffy duvets, a convenient refreshment center and a spacious bathroom with plush terry robes. 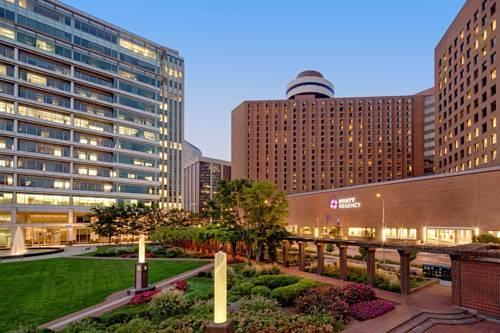 Hyatt Regency Indianapolis is located in the heart of downtown. The hotel offers easy skywalk access to the Convention Center, Circle Centre Mall, Lucas Oil Stadium as well as over 200 shops, restaurants and entertainment options. Guests can enjoy the $50 Million transformation which included guest rooms, modern lobby redesign, contemporary One South Restaurant, sleek Level One Lounge, Starbucks Coffe shop and function space, the perfect destination for business and leisure travelers. We've raised the roof at Indianapolis Marriott East to create a beautifully dramatic setting. The glowing glass roof with 66 skylights is a visible beacon of hospitality. Our spectacular new lobby and Greatroom space energizes our guests with ever-changing natural light and rich natural textures. We have over 75,000 square feet of column-free meeting facilities all on one floor for unlimited flexibility. With style all its own, this hotel in Indianapolis, IN, takes center stage offering 315 newly renovated guest rooms, 41 suites and Concierge Level rooms. 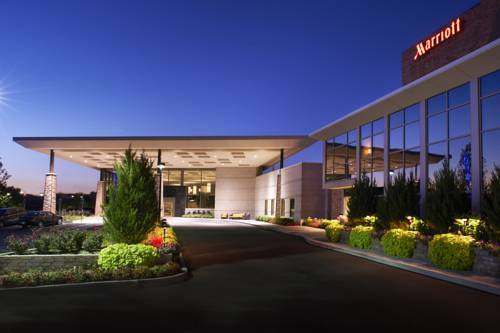 As a top hotel in Indianapolis East, our spacious guest rooms provide extra comforts, including European showerheads, Marriott Revive bedding, pillowtop mattresses, luxurious linens, 37-inch flat-screen TVs, connectivity panels, wireless options and Thann products. West Baden Springs Hotel is a secluded haven of luxury/ grace and natural beauty. Experience the rich history and remarkable design with gold leafing and ornate details at every turn. Come and gaze over rolling countryside/ taste exquisite cuisine and let the legendary history and upscale modern amenities touch your soul.